Peakirk is known for its association with St Pega, who reputedly founded a hermitage there and gave the settlement its place-name [‘Pega’s church’]. 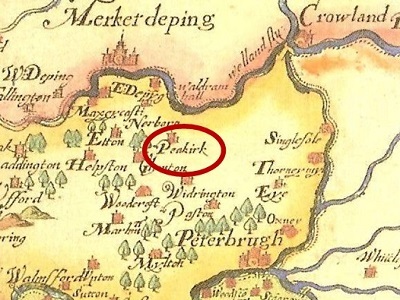 Whilst Peakirk’s history is sporadically-documented from the eleventh-century onwards, archaeological evidence indicates that the area first was colonised by Neolithic folk and that there was almost-continuous activity in the heart of the present village from the Romano-British period onwards. Dr Avril Lumley Prior developed an interest in Anglo-Saxon history during her childhood in Sunderland. After accepting a teaching post in Peterborough, in 1970, she transferred her attention from Northumbrian to Mercian studies. Upon her early retirement in 1995, Avril attained an MA and a PhD on historically-based subjects, both at Leicester University. She is currently conducting research in and around Peakirk and regularly presents and publishes her findings. With her husband, Greg, she is a founder member of PAST [Peakirk Archaeological Survey Team].